Well the big day is over, and you’re probably stuffed full of food and wanting some not too strenuous exercise. 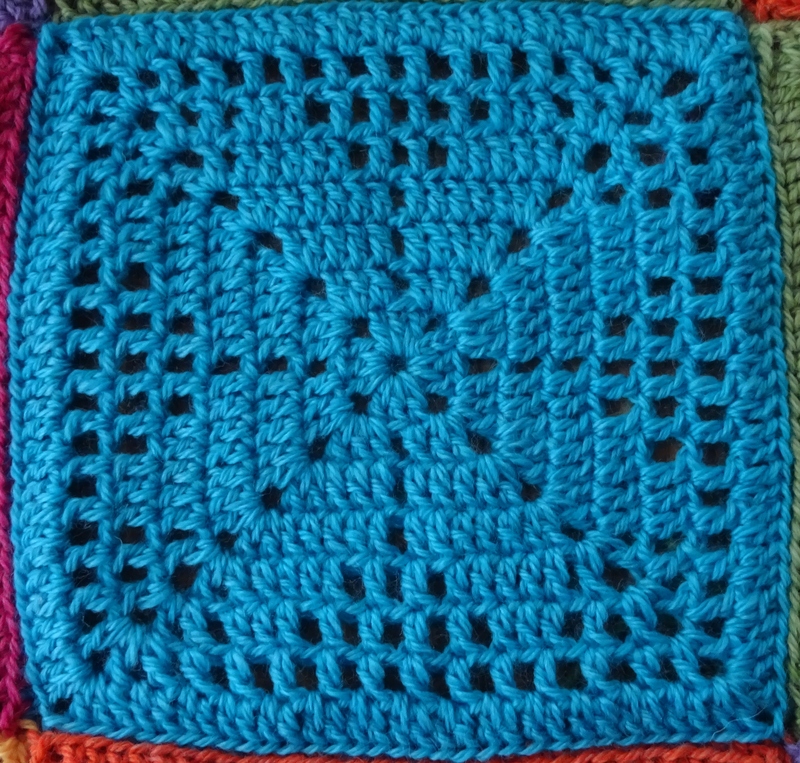 So how about tackling square number 2 in the Winter Blanket CAL? Wielding that hook will get you moving and maybe when you’ve done a motif you’ll gain that sense of achievement which will power you up for a Boxing Day walk 🙂 Or maybe you’ll just prefer to lounge on the sofa and make more motifs! As a reminder about requirements have a re-read of this post. I call this motif Agathi. Agathi is a lovely lady called who has a craft shop in Kassiopi, Corfu. The open filet style design is inspired by one of her motifs, but is not as complex. This motif is best made in one colour throughout. 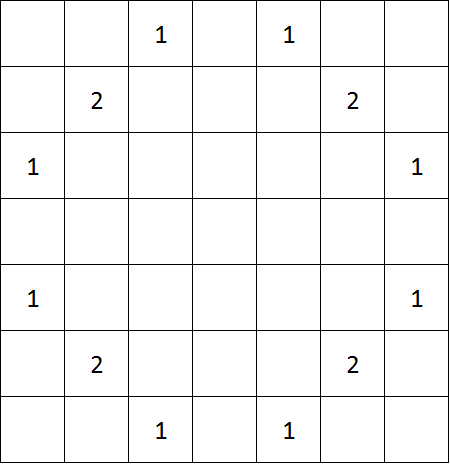 Round 2: ss into 2ch-sp, (note for this and each subsequent round: this ss is to position the start of the round in the right place) 5ch (counts as 1tr, 2ch), 2tr into the same 2ch-sp, *1tr in next st, 1ch, miss 1 st, 1tr in next st**, (2tr, 2ch, 2tr) in 2ch-sp on the corner; repeat from * another 2 times and then from * to ** once, finish with 1tr in the first 2ch-sp and join to 3rd ch from start with a ss. Round 3: ss into 2ch-sp, 5ch (counts as 1tr, 2ch), 2tr into the same 2ch-sp, *1tr in each of next 3 sts, 1ch, miss 1ch-sp, 1tr in each of next 3 sts**, (2tr, 2ch, 2tr) into the next 2ch-sp; repeat from * another 2 times, then from * to ** once, finish with 1tr into first 2ch-sp, join to 3rd st of starting 5ch with a ss. Round 4: ss into 2ch-sp, 5ch (counts as 1tr, 2ch), 2tr into the same 2ch-sp, *1tr in each of next 5 sts, 1ch, miss 1ch-sp, 1tr in each of next 5 sts**, (2tr, 2ch, 2tr) into the next 2ch-sp; repeat from * another 2 times, then from * to ** once, finish with 1tr into first 2ch-sp, join to 3rd st of starting 5ch with a ss. Round 5: ss into 2ch-sp, 5ch (counts as 1tr, 2ch), 1tr into the same 2ch-sp, 1ch, *1tr in each of next 5 sts, 1ch, miss 1 st, 1tr in next st, 1ch, miss 1ch-sp, 1tr in next st, 1ch, miss 1 st, 1tr in each of next 5 sts, 1ch**, (1tr, 2ch, 1tr, 1ch) into the next 2ch-sp; repeat from * another 2 times, then from * to ** once, join to 3rd st of starting 5ch with a ss. Round 6: ss into 2ch-sp, 5ch (counts as 1tr, 2ch), 1tr into the same 2ch-sp, 1ch, *1tr in next st, 1ch, miss 1ch-sp, 1tr in each of next 3 sts, 1ch, miss 1 st, (1tr in next st, 1ch, miss 1ch-sp) 3 times, 1tr in next st, 1ch, miss 1 st, 1tr in each of next 3 sts, 1ch, miss 1ch-sp, 1tr in next st, 1ch**, (1tr, 2ch, 1tr, 1ch) into the next 2ch-sp; repeat from * another 2 times, then from * to ** once, join to 3rd st of starting 5ch with a ss. 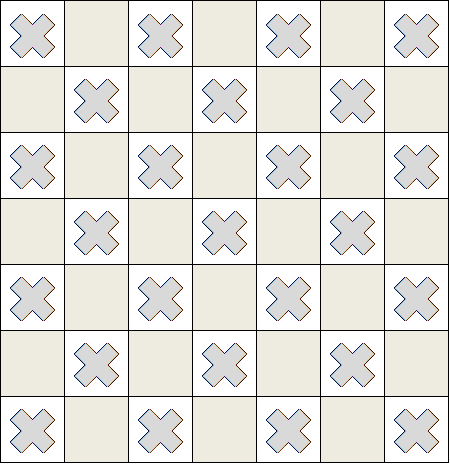 Round 7: ss into 2ch-sp, 5ch (counts as 1tr, 2ch), 1tr into the same 2ch-sp, 1ch, (1tr, 1ch) in each tr along each side (missing all the 1ch-sps and the centre tr of each group of 3tr) and (1tr, 2ch, 1tr, 1ch) in each 2ch-sp on the corner, join to 3rd st of starting 5ch with a ss. Today the pattern is published on Ravelry here, including a chart for Agathi. 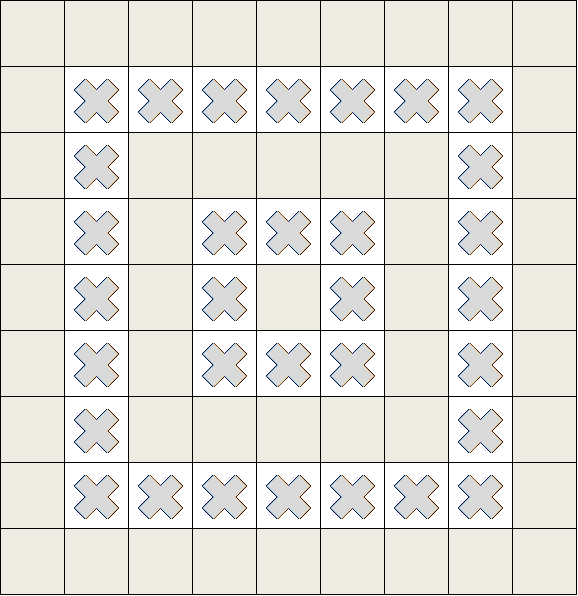 The next 6 motifs will be added to this pattern on a weekly basis, with photos and progress updates shown here on the blog. There is a discussion thread in my Ravelry group here. Please join in the fun!